A local government does not have access to more money just because it is using TIF. Typically, when borrowing money for a project, local governments have two main options: general obligation bonds (GO) or revenue bonds. GO bonds are regulated by state statute because taxpayers are ultimately responsible for paying them back. A municipality can borrow 5 percent of its total property value using GO bonds. Local governments can collect property taxes above and beyond their levy limit to make the debt service payments on GO bonds. Revenue bonds, on the other hand, are not regulated or even tracked by the state because taxpayers are not legally responsible for them. Project revenues are supposed to pay them back, and there’s no limit on how much a municipality can borrow using revenue bonds. Savvy local governments learned that TIF allows them to essentially double tax the community for development inside the TID. That was the whole rationale for creating the TIF law – to force school districts, counties, and other overlapping taxing districts to contribute to projects that would benefit all of them. Unfortunately, this concept completely ignored the taxpayer – who, individually, was paying taxes to all those units of governments at the same time. There were other oversights that hurt taxpayers, too. TID property owners pay back their debt, while their share of the local tax levy is paid by everyone else. After the levy is set, the tax rate gets calculated. 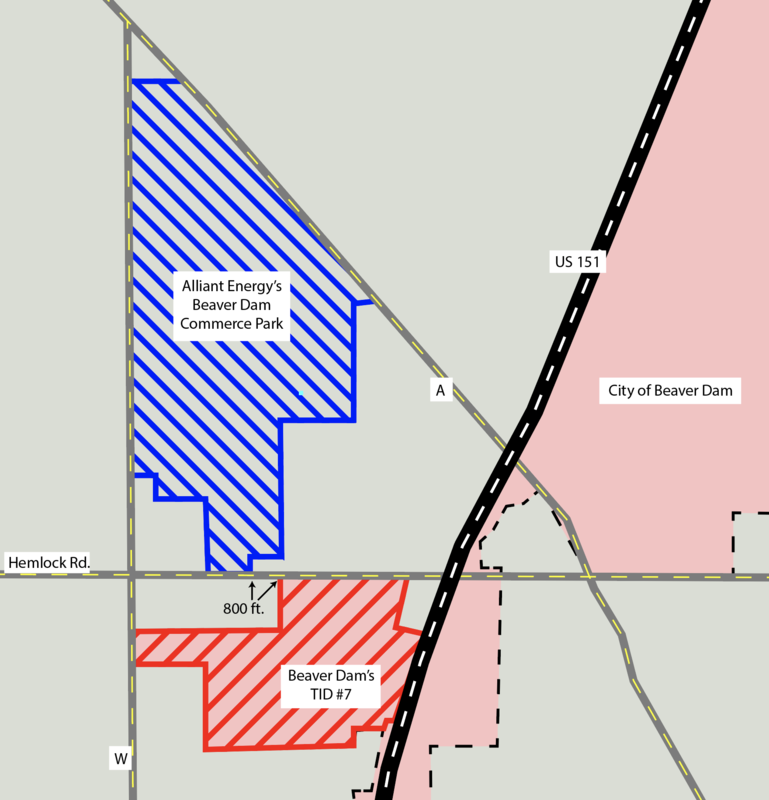 That’s done through dividing the levy by all the taxable property in the community. If the tax levy increases and the total property value increases at the same pace, the tax rate does not change. If the levy increases more than property values do, the tax rate increases. If the property values increase more than the levy does, the tax rate decreases. The village created its first TID in 2014. 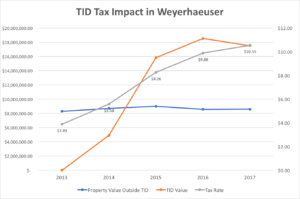 Since 2013, the village’s total property value outside the TID has increased by only 3.6%, from $8.3 million to $8.6 million. Meanwhile, Weyerhaeuser’s local tax revenue has grown 132%, from $39,432 to $91,312. The local property tax has exploded from $3.89 per thousand dollars of property value to $10.55 – a 171% tax hike. Whenever new development takes place in a TID, that community will experience either higher taxes or reduced services. Municipalities are required to close a TID as soon as its projects’ costs are paid off, or it has been open for 20 years. However, there are ways around that. Any TID can be extended for three years. TIDs created before October 1995 can stay open for 27 years, and those created before October 2004 can stay open 23 years. Blighted TIDs can also stay open for 27 years plus the three-year optional extension. Additionally, at least 60 municipalities have secured personalized carve-outs in the state’s TIF law, which has subsequently ballooned to 26,000 words. The law was only 4,560 words when it was first passed in 1975. Using these techniques, municipalities across the state have managed to keep TIDs open far beyond their original life expectancies. The most extreme case of this is in Kenosha. The city created TID #1 forty years ago in 1979. It is currently scheduled to expire in Sept. 2021, which would give it a total life of 42 years. 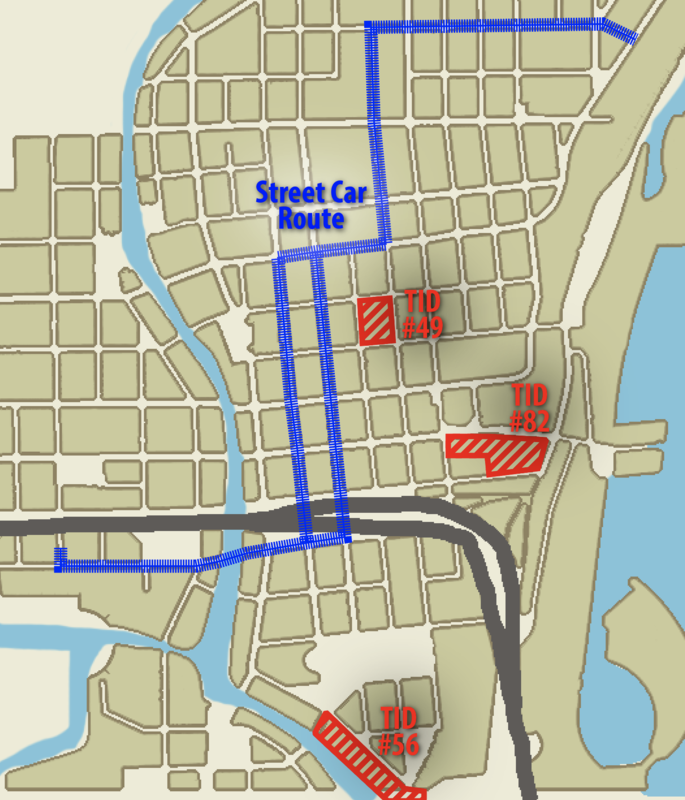 Another TID in Kenosha, TID #4, is also projected to have a 42-year life, from 1989 to 2031. If both of those TIDs were to close today, $155 million would be added to the city’s total taxable property value, resulting in a noticeable drop in property taxes. That’s always the promise to local taxpayers when a TID is created, that the day the TID closes, property taxes will drop. However, as Kenosha demonstrates, that day might never come. The problem is not limited to Kenosha. Throughout the state there are another 25 TIDs currently projected to have a 40-year existence. 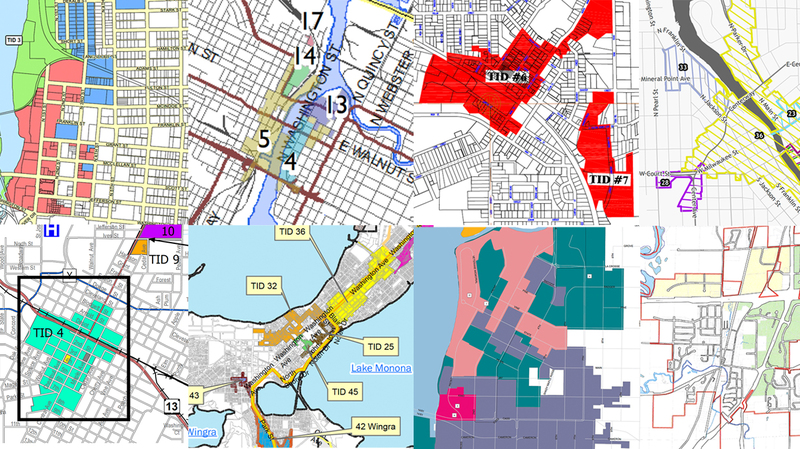 There are many reasons why municipalities try to maximize the life of a productive TID. A big one is local officials can use that revenue to fund other projects in the TID or “donate” it to another TID in the municipality. TIDs are allowed to stay open for the sole reason of allocating their tax incremental revenue to another TID, which is why Kenosha’s TID #1 has been kept open for so long. This becomes a slush fund of sorts, because the TID is now funding local officials’ pet projects rather than contributing to the general revenue tax base. The City of Milwaukee has 3 TIDs paying a combined $59 million for the mayor’s streetcar project, which doesn’t run through any of them. For example, TID #62 in Milwaukee has a $1.87 million project plan, and $1.5 million of it is going to DRS Technologies to help pay for an $11.5 million expansion project. The company employed 544 employees in 2017, and it will not have to repay the $1.5 million as long as it kept employment above 450 through the end of 2018. Not only is it a sure bet for the company, it’s proven to be a poor investment for the city. The project is complete and the TID has only increased in value by $1.4 million, a $470,000 loss from the $1.87 million investment. Another direct payment from a TID to a private company happened in 2017. The City of Milwaukee gave Bon-Ton (Boston Store) a $1.9 million forgivable loan from TID #37 when the company promised to keep its corporate offices in the Grand Avenue Mall for the next ten years. Less than a year later, Bon-Ton went out of business and was liquidated. Milwaukee taxpayers will never see that $1.9 million again. Out of 2,558 TIDs across Wisconsin in 2018, 407 of them (16 percent) lost value since 2017. The state created another option for troubled TIDs in 2014 that is still in effect today. If a TID loses value two years in a row and its current value is at least 10 percent lower than its base value, it is eligible for “base value redetermination.” That means the state will retroactively lower the original value of the TID in order to artificially create a tax increment. When that happens, the total property value outside of the TID drops suddenly due to the loss of the TID’s base value. However, the levy remains the same, which leads to a higher tax rate throughout the community. Municipalities also sometimes choose to preemptively reset a TID’s value, which artificially inflates its tax increment from day one. 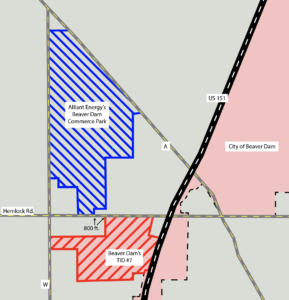 Muskego’s controversial TID #11 is an interesting example of this scenario. The TID is comprised of 10 acres of prime real estate right in the heart of the city’s commercial district. It used to be the site of a shopping mall, which was torn down in 1998. 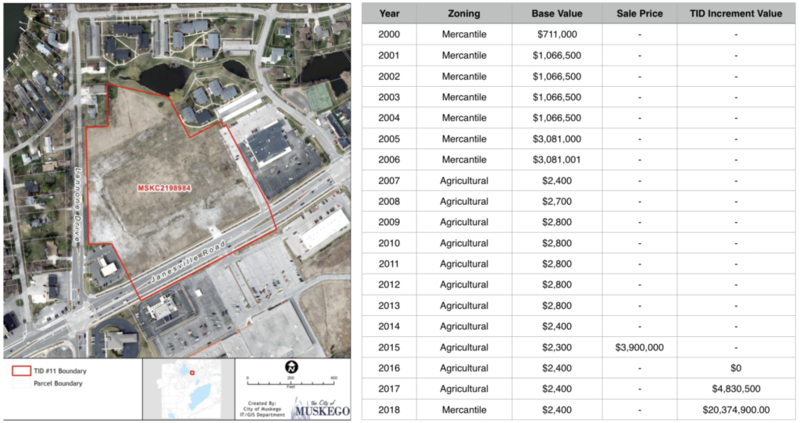 The lot remained vacant for years, but its value continued to climb. By 2006, it was worth $3 million. The next year it was rezoned agricultural and was reassessed at $2,400 for the entire 10-acre lot. Eventually, a developer bought it in 2015 for $3.9 million, yet it was still assessed as agriculture for the next two years. Meanwhile, the TID was created in 2016 with a base value of only $2,400. By 2018, that had grown by a mindboggling 849,054% to $20.4 million. What the city will do with the revenue from that increment is anyone’s guess, since its other three TIDs are doing just fine on their own. 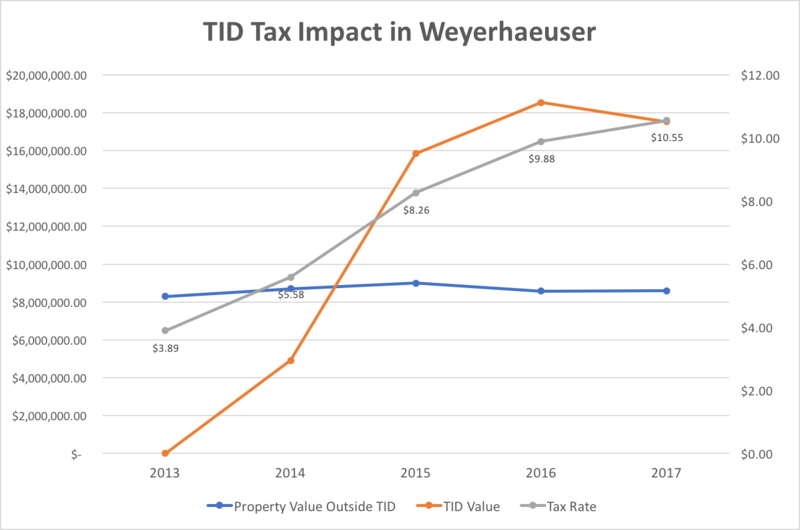 Had the city been honest about assessing the base value of the TID, property owners throughout the community would have enjoyed a lower mill rate, with no negative impact to the TID’s viability. Instead, the city decided to jump start a new slush fund. First of all, the state needs to start enforcing TIF requirements. When every municipality can create its own individual definition of “but-for” and “blighted,” there’s no point in making them requirements in the first place. Also, exemptions to the rules are far too common. When lawmakers are willing to provide a custom exemption for any community that asks for one, what exactly is ensuring communities behave responsibly with TIF? Lawmakers should prohibit municipalities from raising their base levy for net new construction in a TID until it is terminated and eliminate the bonus 50 percent altogether.